19th April 2018, New Delhi: As cash crunch is reported from many parts of India with ATMs running dry, LocalCircles conducted a survey to understand if the digital payment acceptability of merchants in India is better off in 2018 as compared to where it was in late 2016. 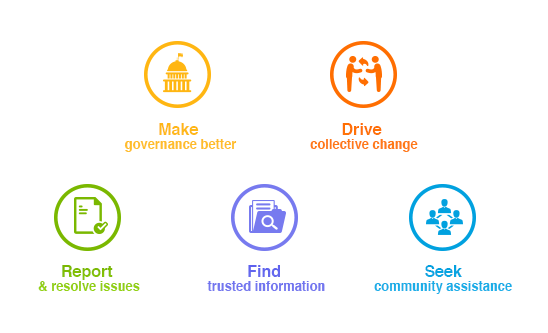 With over 24,000 votes from over 15,000 unique citizens across 200 districts of India, the results provide a unique insight into the state of things. 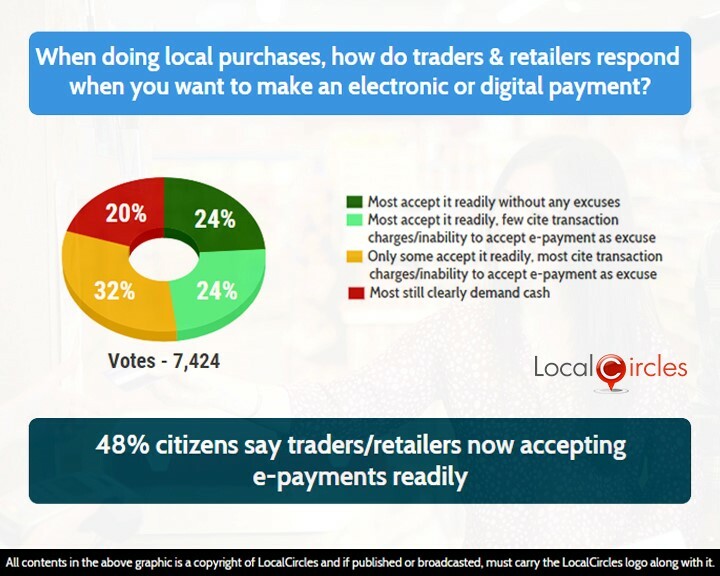 The first question asked the citizens when doing local purchases, how do traders and retailers respond when they want to make an electronic or digital payment. 24% said most accept it readily without any excuse and 24% said most accept it readily but cite transaction charges/inability to accept e-payments as an excuse. 32% said only some accept it readily and 20% said most still demand cash. Second question asked them which digital payment mechanism they use most. 65% said credit/debit cards, 31% said net banking, 3% said mobile wallets and 1% said UPI. This clearly shows that credit/debit cards are still the king as far as the users are concerned. This could be the big opportunity for the banks as by reducing the MDR charges, they could get more wallet users to migrate to credit and debit cards. 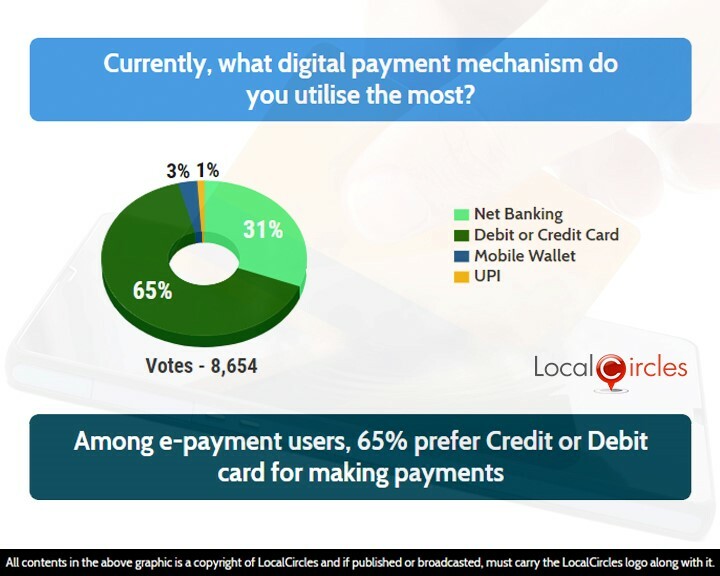 Earlier last year, LocalCircles had conducted a poll in which majority citizens had demanded the transaction fee on credit cards to be reduced and on debit cards to be made zero. The same via Department of Consumer Affairs was presented to Reserve Bank of India as a collective consumer ask. Subsequently in December 2017, the Union Cabinet waived of the MDR fee on transactions up to Rs. 2000 for 2 years to promote digital transactions. 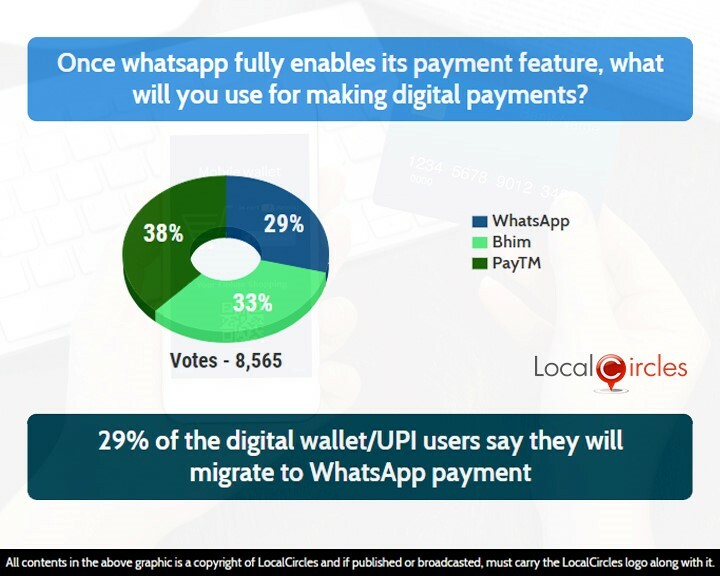 To better understand acceptability of new modes of payments, especially UPI based Whatsapp pay, etc, the question asked once WhatsApp fully enables its payment features, what will they use for making digital payments. 15% said they will use WhatsApp, 18% said BHIM and 21% said PayTM. 46% said they did not plan on using digital wallets for payments. WhatsApp has a deep penetration in the Indian market with more than 200 million Indians already using it. Its rivals have been accusing WhatsApp of not adhering to security standards and are scared that it will eat into their share of the market pie. Early adopters say that WhatsApp pay make it very easy to make payments in the middle of the chat and prefer its payment system as they will not need a separate app for it now. Chinese market is a classic example, where once dominant Alipay saw its market share drastically slump after popular messaging app WeChat integrated its messaging app with payments system in 2013.